The high-performance CPU for complex tasks that require speed and special communication capabilities. The CPU 224 version for convenient implementation of simple drive tasks – with two interfaces, two analog inputs and one analog output, as well as two 100-kHz pulse outputs and two high-speed 200-kHz counters. The versatile high-performance CPU for complex automation tasks with expanded inputs and outputs as well as two RS485 interfaces. For simple expansion of the SIMATIC S7-200 and to meet changing needs we supply digital modules from 4/4 up to 32/32 inputs and outputs. The SIMATIC S7-200 system gives you a choice of different analog expansion modules, including 4/0, 4/1 or 0/2 inputs/outputs. The SIMATIC S7-200 system also provides expansion modules to handle functions such as precise temperature measurement, positioning, and weighing tasks. • As system bus with up to 126 participants: Programming devices, SIMATIC HMI products and CPUs can be networked without a hitch. In pure S7-200 networks this is accomplished with the integrated PPI protocol. In a network composed of Totally Integrated Automation components, such as SIMATIC S7-300/400 or SIMATIC HMI, the S7-200 CPUs are integrated as MPI slaves. 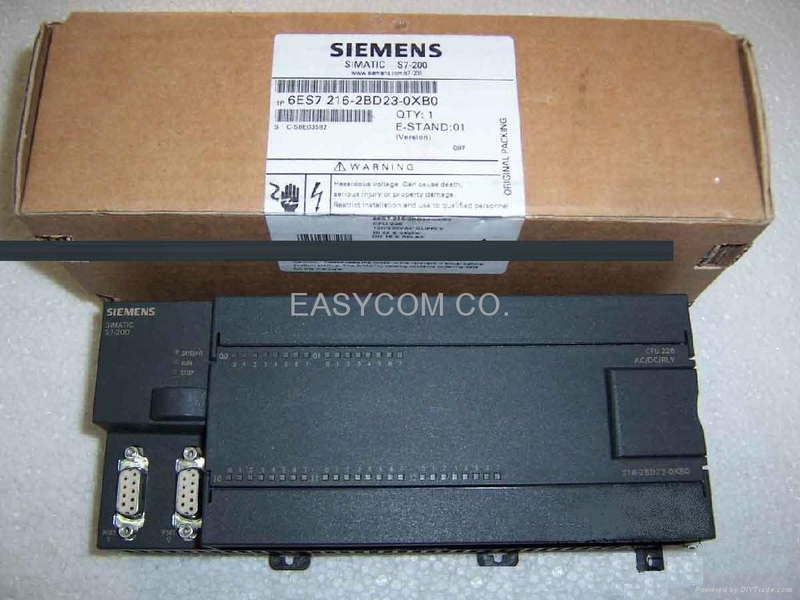 • In the freely programmable mode up to 115.2 kbaud, with user-specific protocols such as ASCII (this supports interconnections with a modem, printer, barcode reader, PC, third-party PLC and any other device). 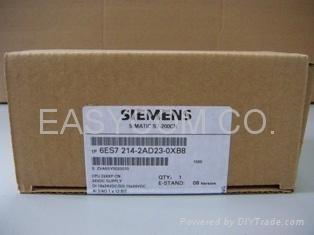 Up to 32 SIEMENS frequency converters can be controlled without additional hardware by using USS protocol instructions. A connection to a Modbus RTU network can be established via the Modbus protocol instructions. 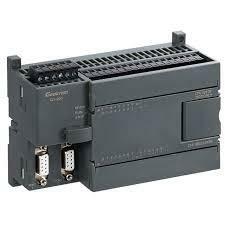 Our SIMATIC S7-200 portfolio is enhanced by several time-saving, powerful plug&play software tools. These include STEP7-Micro/WIN programming software which complies with IEC 1131, numerous wizards, and helpful add-ons such as WinCC flexible and PC Access.